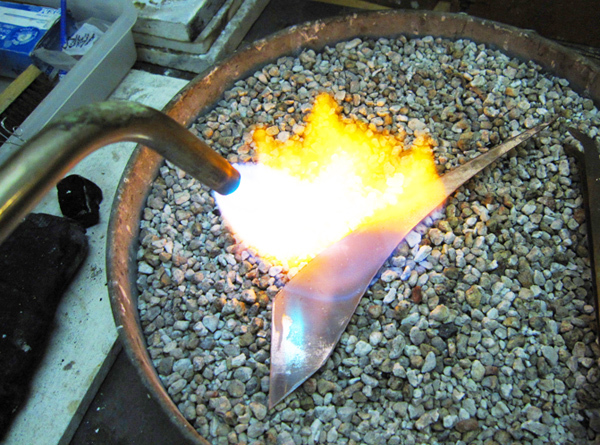 The centuries-old technique of “Raising” metal was primarily used to create vessels, utensils and other functional objects. Copper, Brass and Bronze were worked with the use of hammers and stakes. 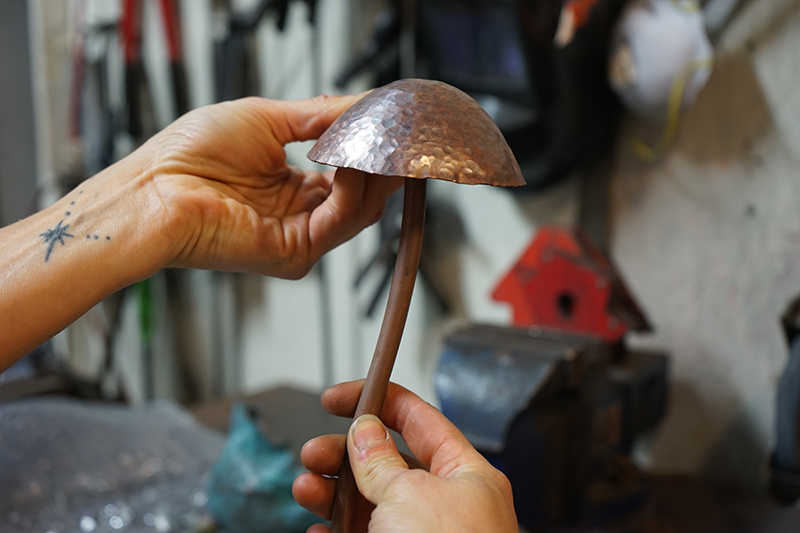 The process begins with heating non-ferrous (brass, bronze, copper, or silver) sheet metal to a point where the material becomes malleable, then cooling it down and using various types of hammers and stakes in order to stretch, bend and compress the metal into complex and hollow forms. Each time the hammer hits the metal, the material hardens as it stretches and bends; the crystals can only stretch so far before the metal becomes so hard that it is unworkable. In order to create depressions or hollow and complex forms with controlled contours, one must repeat the heating-cooling-working process over and over in order to get any dramatic shaping. Patinas are coatings of various chemical compounds such as oxides, carbonates, sulfides, or sulfates that react with and change the surface of metal. 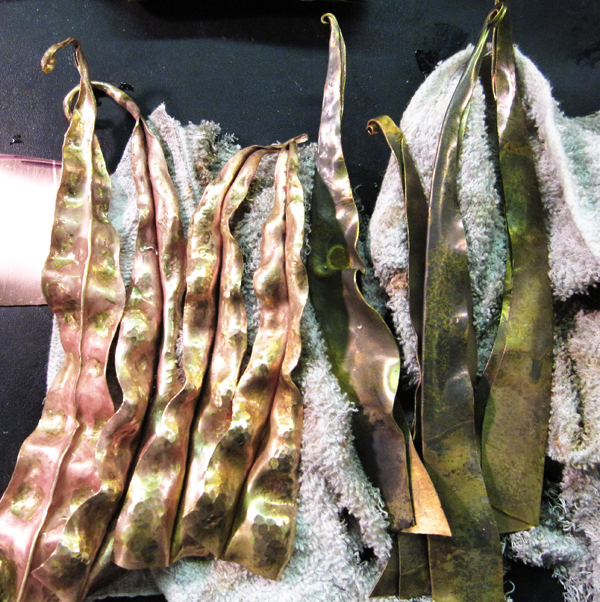 Patinas are mostly applied in liquid form, sometimes while applying heat to the metal, other times they are applied cold. The type of metal, method of application, and a variety of other factors affect the outcome of each one, and are almost never completely controllable or predictable. Most people are familiar with Forging, which is specific to changing the shape of steel. Unlike non-ferrous metals, steel is most malleable when it is red hot. 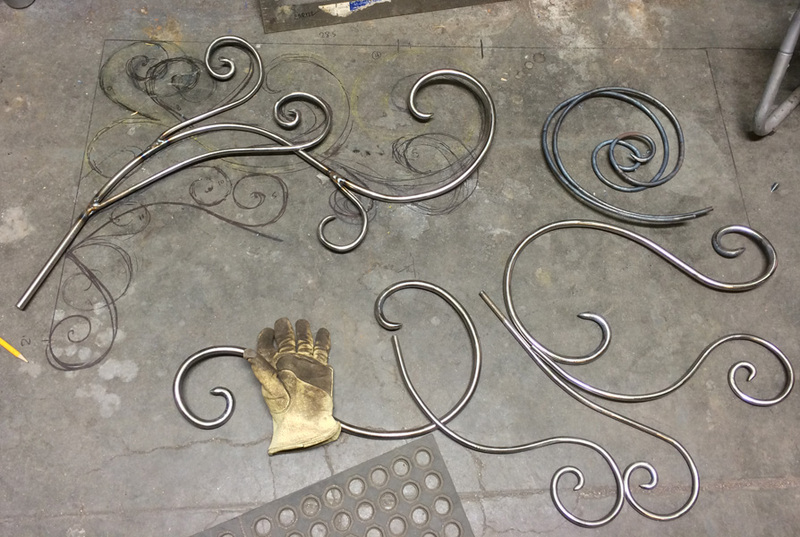 Though forging is not a commonly used technique in my work, bending steel into complex curves is. 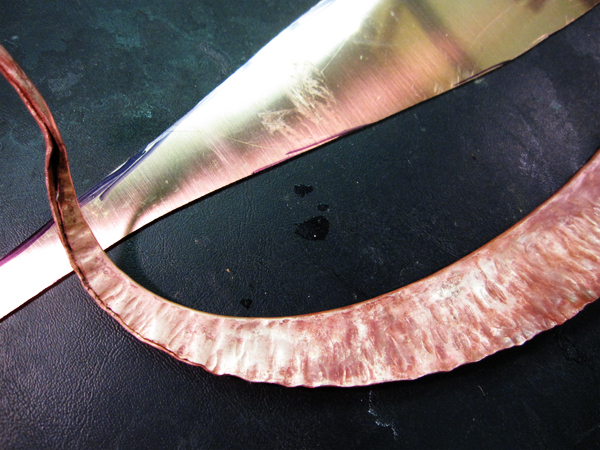 This is done when the metal is hot as well as when it is cold. All of the table legs and formed stems and branches in my sculpture and furniture was done by hand.